In 2014 MYSPRITZ won the silver medal at the ISW Mundus Vini, the most renowned competition dedicated to distillates in Germany. The balance and harmony of fresh citrus notes combined with the typical bitterness of aromatic herbs make MySpritz the most popular Italian aperitif. MYSPRITZ Classic is 100% Italian liqueur made from natural herbs and spices. 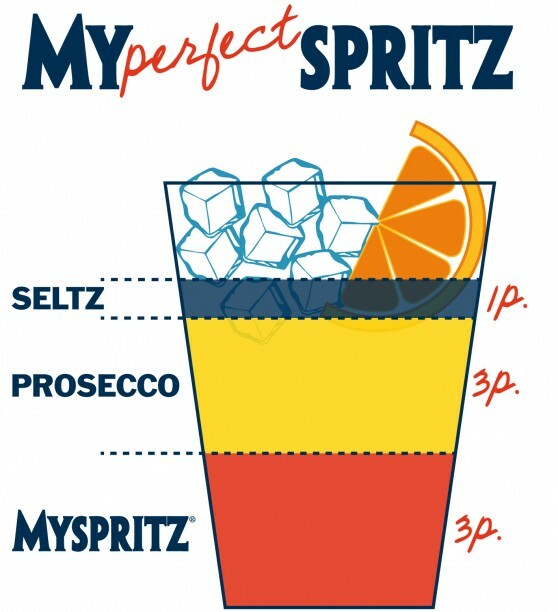 Mix with Prosecco a touch of club soda and garnish with an orange. Most refreshing traditional Italian drink.